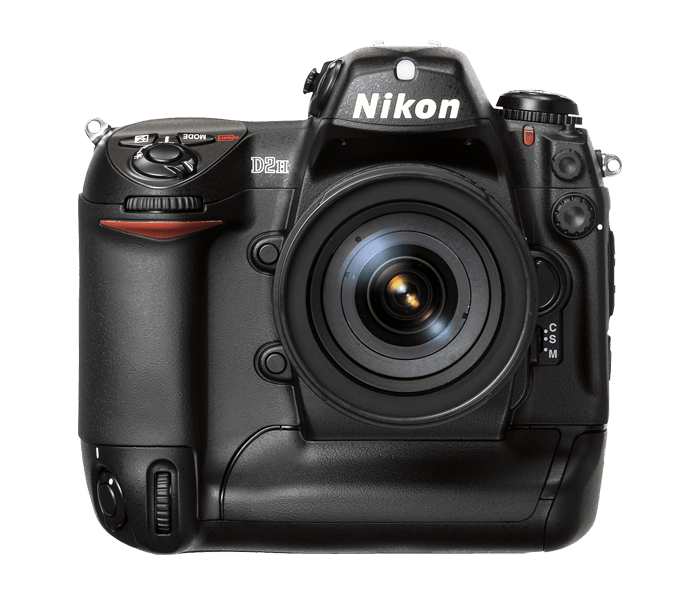 4.1 Effective Megapixel: 4.1 Effective Megapixel Nikon original JFET imaging sensor LBCAST for high-resolution images (2,464 X 1,632 pixels). Compatible Lenses: AF Nikkor (including AF-S, DX, VR and D-/G-type): All functions possible; D-type Manual-Focus Nikkor: All functions except autofocus and some exposure modes available; AF Nikkor other than D-/G-type: All functions except 3D Color Matrix Metering and 3D Multi-Sensor Balanced Fill-Flash possible; AI-P Nikkor: All functions except 3D Color Matrix Metering, 3D Multi-Sensor Balanced Fill-Flash and AF possible; Non-CPU AI Nikkor: Usable in [A] or [M] mode with Matrix-Metering, Center-Weighted and Spot metering available. Indication of aperture number, after user inputs the aperture f/stop and focal length f=mm by multi-selector operation. Electronic Rangefinder usable with maximum aperture of f/5.6 or faster. Exposure Mode: Programmed Auto [P] (Flexible program possible), Shutter-Priority Auto [S], Aperture-Priority Auto [A], Manual [M]; Continuous Shooting Mode: Shoot approximately up to 8 frames per second for up to 40 consecutive JPEG or 25 RAW (NEF) full-resolution (2,464X1, 632 pixels) images. Wireless: Wireless Transmission with 802.1lb Technology. Hook up the WT-1A accessory to instantly transmit images to your LAN computer access point using 802.1lb technology; Top shutter speed: Top shutter speed 1/8,000 sec. 3D Digital Matrix Image Control: 3D Digital Matrix Image Control ensures optimum results in digital images with precise exposure control, adaptive auto white-balance control and optimal color accuracy. Autofocus: 11 Sensors. With the Multi-CAM 2000 AF Sensor Module, 11 Sensors (nine are cross-type sensors) effectively cover the majority of the image area and razor-sharp focus. Limitless Possibilities. See the action. Keep it all in focus. Flash: The New I-TTL Speedlight System. Nikons new Speedlight SB-800 with I-TTL flash control introduces amazing new features, enhancing TTL capabilities and adding advanced wireless technology for multiple-flash photos. Flash sync speed up to 1/250 sec. In the Box -- Supplied Accessories: Li-ion Battery EN-EL4, Quick Charger MH-21, Body Cap, Camera Strap AN-D2H, AV Cable EG-D2, USB Cable UC-E4, LCD Monitor Cover BM-3, Nikon View Software CD-ROM.